About a half hour outside Paris, there sits a famous amusement park. No, not that big American one, the other one. The park is well-known in France, but not so much to Americans... Unlike Disney, where we'd hear English, German, Spanish, etc. everywhere we walked, we didn't hear much other than French the whole day! 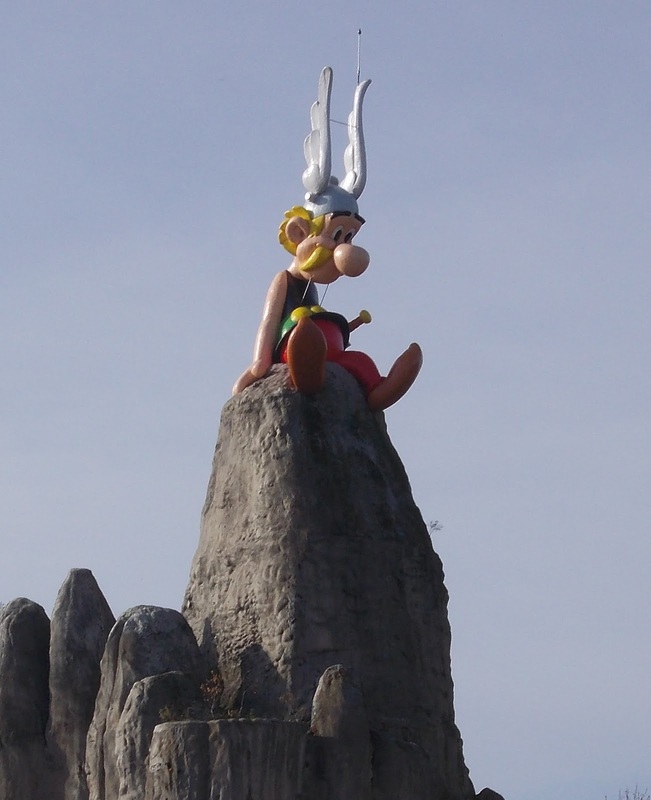 This was a great experience as the rides were all new to us and the park is all based on popular French comic books that are favorites in our family... Asterix and his sidekick Obelix are Gauls who are resisting Roman occupation of their small village. Thirteen films have been made from the books, most recently in 2008. Several star the popular French actor Gérard Depardieu... The latest, Asterix and Obelix: On Her Majesty's Serice will be released in 2012, with another to follow in 2014 called Asterix: The Land of the Gods. More on the park itself in the coming days! I took lots of photos!